You can't run around Hollywood these days with tripping over someone connected to a comic book property, and here are some of BAM's latest run-in with serious insiders within superheroic universes. Michael Rooker's fans seemed to immediately embrace the initial trailer for Marvel's Guardians of the Galaxy, but he promises that's only the beginning: "Wait until the second trailer comes out," he says. "It's going to get an even bigger reaction. I'll be in that one." happy to head to space: "I got to be an alien!" he laughs. "I was an alien in James' other movie, Slither, but I actually got to be a humanoid-type alien in this one. And I'm a lovely shade of blue. What else could I say?" A veteran screen presence with a career spanning more than 25 years (including highlights like Henry: Portrait of a Serial Killer, Mississippi Burning, JFK, Tombstone and most of Gunn's films), Rooker kicked off a career renaissance with his role as Merle on The Walking Dead. "You stick around long enough, and I guess good things can happen," he says. 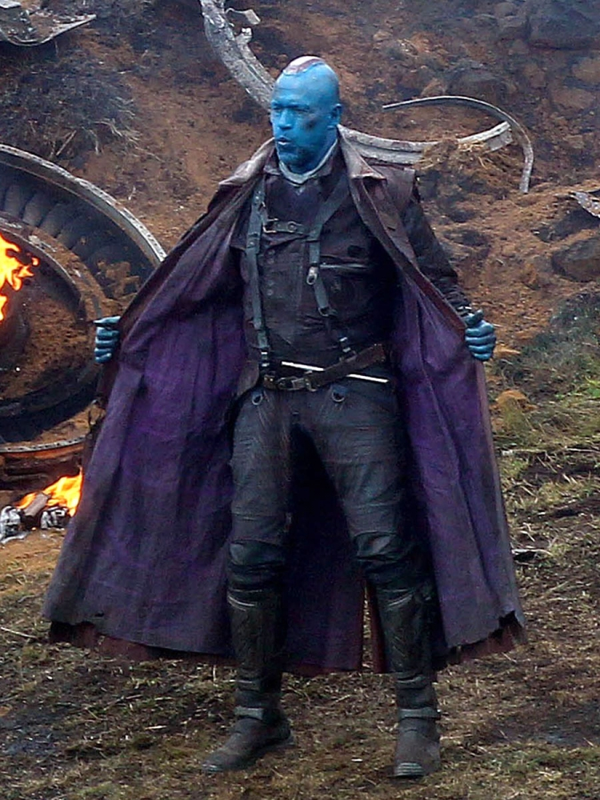 As for the rest of Yondu's look, he admits it's colorful all around – but not identical to the comic book source. "I was kind of glad that I wasn't wearing a loincloth," he says, "but my fans were very disappointed I'm not wearing a loincloth." Chatting up Hayley Atwell at the premiere of Captain America: The Winter Soldier, Bam! learned from the beautiful Brit that her Marvel character, Peggy Carter, is still very much in contention to headline her own TV series, spinning out of the event of the Marvel One-Shot short film Agent Carter and with a pilot script written and by the team behind the two Cap films, Stephen McFeely and Christopher Markus. "All I can say is that it's at exactly the place that everyone knows it's at," she says of the show, which is waiting on word to move forward from ABC. "I know that if it was to get made, I'd be behind it one hundred percent because I love it, and I'd love to work with the Marvel team again. And I think it would be in great hands, so let's just kind of watch the space." 300 x 3: Another Battle Awaits? Screenwriter Kurt Johnstad's been loyally soldiering away at filmmaker Zack Snyder's side like a Spartan, copenning the scripts for both 300 and its hit sequel 300: Rise of an Empire, and now that the second film's proven its own box office mettle, he tells BAM! that the ancient Greek-Persian wars may provide fodder for even more bloody big-screen battles. "I think there's potential for making a third movie here," says Johnstad. "Zack and I have a very clear idea of what the third and last kind of trilogy would be for this world. And if we're given the opportunity and the world embraces this movie, people get excited about it and the studio gets behind it, we're ready to write that movie." 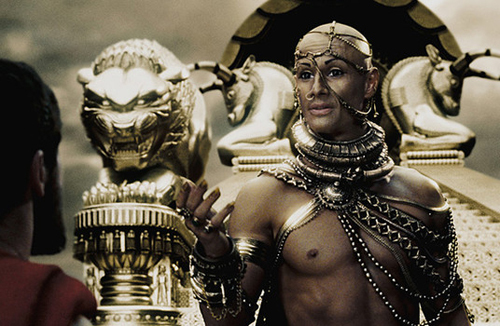 The first film, of course, was adapted from writer-artist Frank Miller's tour de force comic book miniseries 300, which itself took inspiration from the historical Battle of Thermopylae, while the second film followed a concurrent historical naval struggle, the Battle of Salamis and Miller's as-yet-unpublished follow-up graphic novel Xerxes. "I haven't seen the completed thing, but it kind of started where early on Frank said, 'This is my idea,'" says Johnstad. "He came to Zack and Zack was like, 'Wow – Okay, this is awesome!' 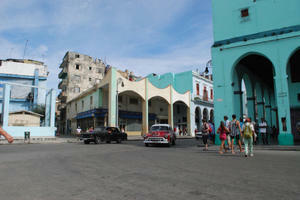 First, he fed us an outline – 'This is kind of how I wanted to expand things' – and then he started showing us frames…. And then we basically used that as kind of a keel for the movie, and then we expanded where cinematically we thought it needed it or things were worked or didn't work. But it's a blessing to have Frank's vision to start with." Whether Miller has a third jumping-off point or the filmmakers turn to Greek historian Herodotus for follow-up battles, 300: ROAE director Noam Murro says, "If you ask me if there is room for a third movie, the answer is 'Absolutely, yes!'"